Puddings and pies, tarts, trifles and crumbles. There are times when it just has to be custard, smooth, creamy and fragrant with the flavour of vanilla. 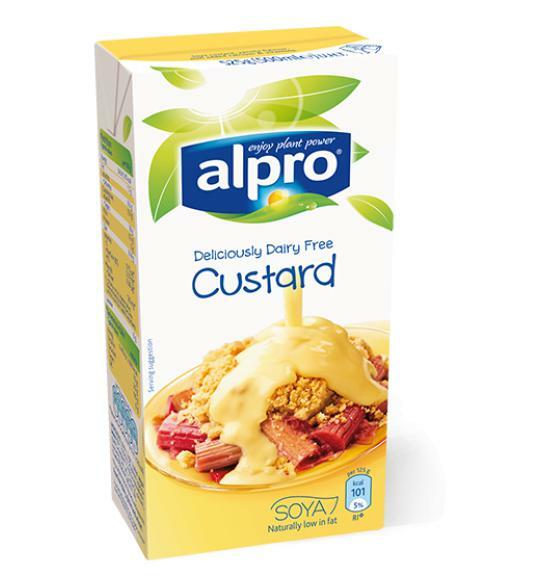 Deliciously dairy free, Alpro Vanilla custard is just perfect on its own, too, hot or cold. Seconds anyone?